The cleaning of rivers is an ongoing process and this Ministry is supplementing the efforts of the State Governments in addressing the challenges of pollution of river Ganga by providing financial assistance. Under Namami Gange Programme, variety of coordinated activities meant for cleaning of river Ganga including treatment of municipal sewage, treatment of industrial effluent, drain bio-remediation, river surface cleaning, rural sanitation, river front development, construction of ghats and crematoria, afforestation & biodiversity conservation, public outreach program etc have been taken up. So far a total of 254 projects have been sanctioned at an estimated cost of Rs. 24,672 crore to clean the Ganga river. 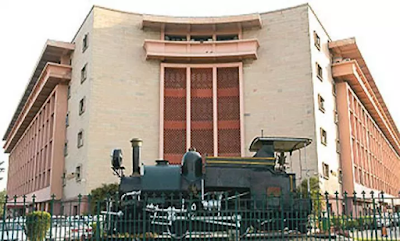 Out of the sanctioned 254 projects, 123 projects are other than of sewage treatment plants which shows the eclectic approach taken to address the problem. There is no such proposal in the Ministry of Power to ban Hydro Power Project on Ganga River. Centre for Ganga River Basin Management and Studies (C-Ganga) has been established at Indian Institute of Technology, Kanpur (IITK) as a centre of excellence to further the development of Ganga River Basin, by channelising scientific inputs from international experts and organizations to contribute towards implementation of the Ganga River Basin Management Plan. International collaborations have taken place with Germany, Israel, England, Scotland and European Union. Ganga River Basin Management Plan (GRBMP) was prepared by consortium of 7 IITs in 2010. 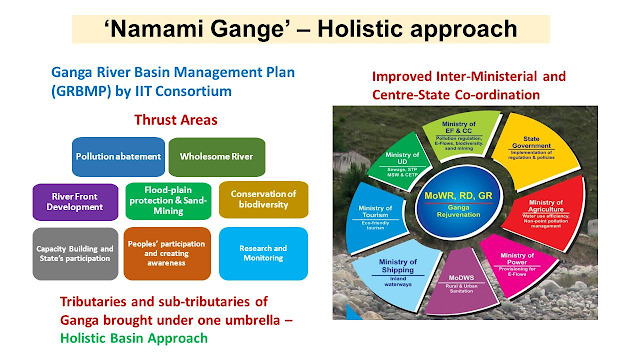 The plan is being implemented by National Mission for Clean Ganga (NMCG) under Namami Gange Programme. NMCG has sanctioned a total of 254 projects worth Rs.24,672 crore in accordance to the 7 thrust areas viz. Nirmal Dhara (Clean river), Aviral Dhara (Wholesome river), River Front Development (Swach Kinara), Capacity Building, Research & Monitoring, Conservation of bio-diversity and Awareness creation, specified in the GRBMP plan. This information was given by Union Minister of State for Water Resources, River Development and Ganga Rejuvenation Dr. Satya Pal Sing in a written reply in Lok Sabha today.